An easy to use, fast shine aerosol polish. 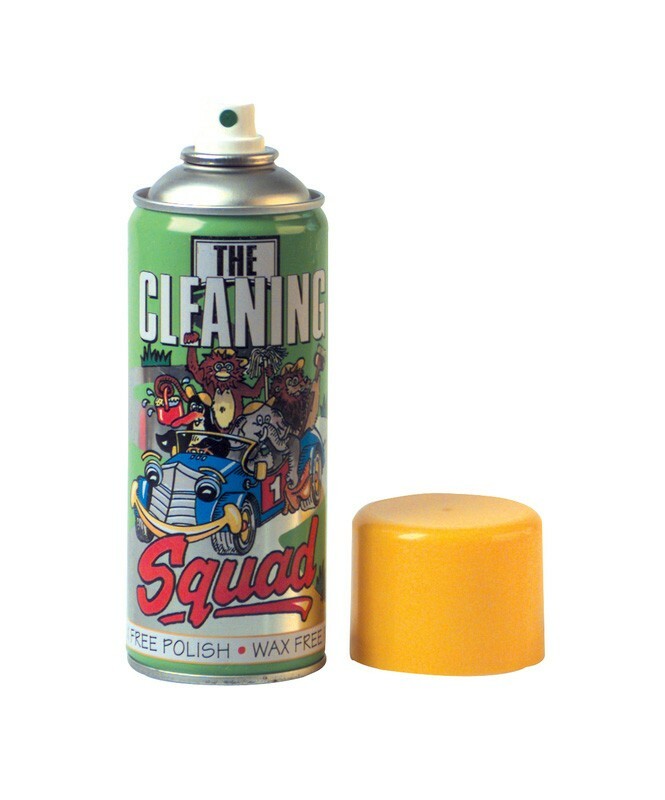 Lemon Cleaning Squad easily and effectively removes finger marks, smudges, dirt and dust at a wipe from most everyday surfaces. Being wax free it is ideal for general office cleaning with surfaces being left smear free with a high shine finish. Can be safely used on woods, ceramics, tiles, shelves, vinyls, paintwork, metals, enamels, chromes etc. Contains a pleasant lemon fragrance. Full case pack size - 12x400ml aerosol cans. Shake well before each spray. 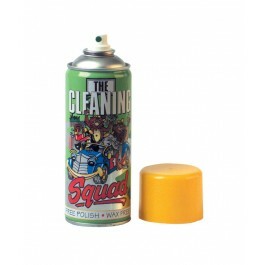 Hold the container upright and spray lightly approximately 20cm from the surfaces to be cleaned. A quick wipe with a soft cloth is all that is needed to clean and polish in one go. For inaccessible areas, spray the polish directly onto your duster.